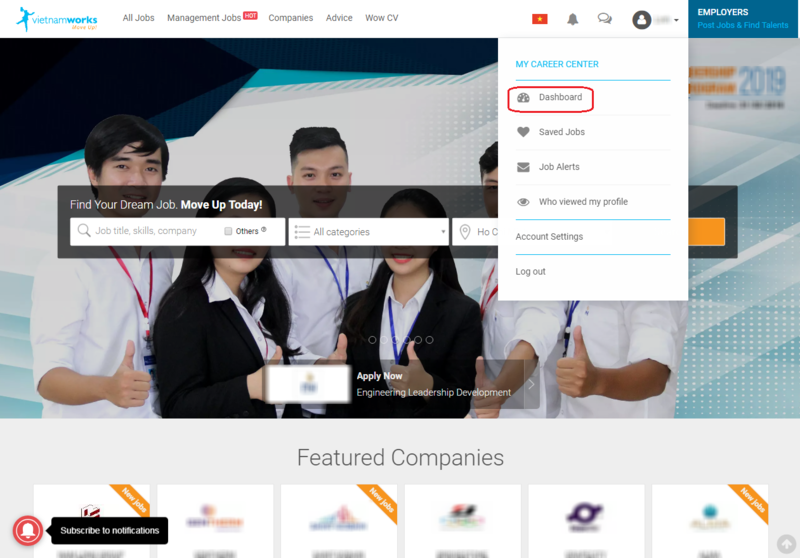 Sign in to your account on VietnamWorks. Click the icon with your name at the top right of the page, then click Dashboard. In the Dashboard page, go to Hide My Profile section, type the Company’s name you want to hide your profile (at least 3 characters), select the correct Company in the suggestions list, then click Add Company. Do the same action if you want to hide your profile from other Companies.